Increasing motorization in cities across China is threatening air quality and public health, causing many to ask what reforms can combat the country’s growing culture of car-dependency. Photo by ilmari hyvönen/Flickr. China currently has enough roads and infrastructure to accommodate 300 million vehicles. With car ownership reaching 137 million at the end of 2013, and 74 Chinese cities already reporting pollution surging above the level deemed safe by the World Health Organization (WHO) for over two thirds of the year, adding another 170 million cars to the country’s roads will be an economic, environmental, and health disaster. Statistics from the Beijing Environmental Bureau show that vehicle exhaust contributes to over 30% of the haze in Beijing, drastically decreasing life span and quality of life for millions. But even as the country grows a collective understanding of the impact of vehicle emissions, as China’s growing middle class assumes the consumption patterns of developed countries, people individually still want cars. Increasing strict vehicle emissions controls and stemming the growing culture of car ownership will both be necessary first steps towards advancing sustainable urbanization and improve air quality for China’s growing urban population. Even with the understanding that uncontrolled motorization is a detriment to both people and the environment, it is incredibly hard for China to make meaningful reforms. In Shanghai, license plates can be sold for up to 90,000 Yuan (14,500 USD) in the city, which should mean that fewer people are buying cars. But instead of helping, Shanghai’s restriction has generated a surge in car sales in cities where restrictive policies are not in place. At an auto exhibition in Nanjing this May, consumers rushed to buy cars because they feared that a car-purchase limit was on the way. Approximately 300,000 people attended the exhibition, and one car was sold every three minutes. China is a site of both production and consumption for major carmakers, and much of the country’s economic growth can be attributed to the auto industry. Any policy attempt to discourage car sales or car usage has been tactfully watered down so as not to damage economic growth. There are some steps being taken to turn this trend around, but these are steps often plagued by misperception. According to iCET’s 2014 China Green Car report on small and multi-purpose vehicles, traditionally perceived as greener than large and luxury cars, these vehicles often perform poorly in terms of emissions control due to weak enforcement of vehicle emissions. To make any measurable improvements, China needs to use the same emissions control technologies that the United States and Europe have been using in their cars for decades, but at prices that consumers in developing cities can afford. Beginning next year, China will adopt the long-delayed national stage 4 emission standard (China 4) – the equivalent of Euro 4 standards – on diesel vehicles. This means trucks and lorries that produce high levels of harmful substances will be taken off the road, and may signal that the country will implement regulations aimed at decreasing fuel consumption by passenger vehicles. However, much room for implementation capacity-building still exists. Despite all efforts made by the government to curtail the car use and exhaust, it is the symbolism of the car in modern China that presents as large a barrier to improvement as weak policies. The car in China has evolved as a symbol of success. It is seen as a key to social mobility, serving individuals in their pursuit for both personal and business goals. 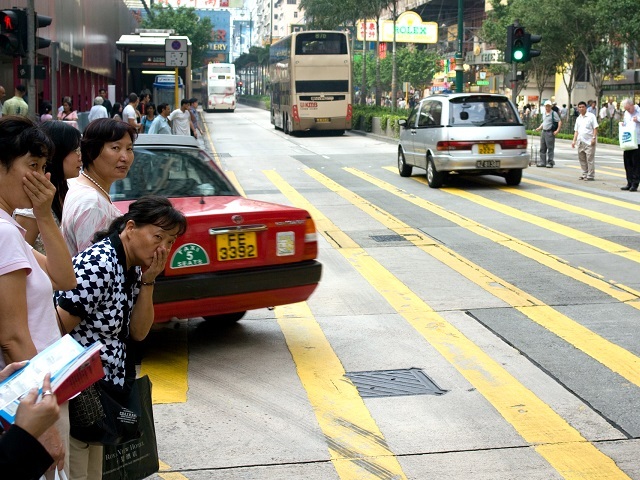 There is much for urban planners to do in convincing people that cars are far more of an impediment to urban mobility – especially in megacities like Beijing, Shanghai and Guangzhou – than they are worth as a symbol. This shift is underway, as China’s city leaders take actions to help residents transition to active transport. Once called the Kingdom of Bicycles, China is trying to re-establish its cycling culture through bike-sharing. Hangzhou is home to the world’s largest bike-share program, offering more than 60,000 bikes to its residents with their first hour’s use free of charge. The program is integrated with bus, bus rapid transit (BRT), and metro, creating a sustainable and integrated transport system. China also leads global electric-bike production, creating many opportunities for the country to be a leader in global urban mobility. China is taking important steps towards challenging the ascendency of the car as a symbol of social success, strengthening vehicle emissions controls, limiting licenses, and expanding its bike-share systems. Both city planners and residents need to move the country further on the path to sustainable, people-oriented development and go past regulating cars – a strong first step – to look further at what sustainable transport and urban development can do to make cities safe, livable, and accessible.